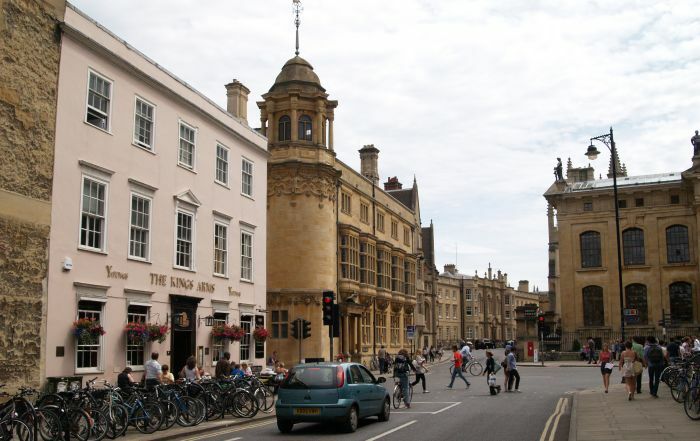 Oxford Town: The Broad Street area - the Kings Arms pub on the left and the Clarendon building on the right. 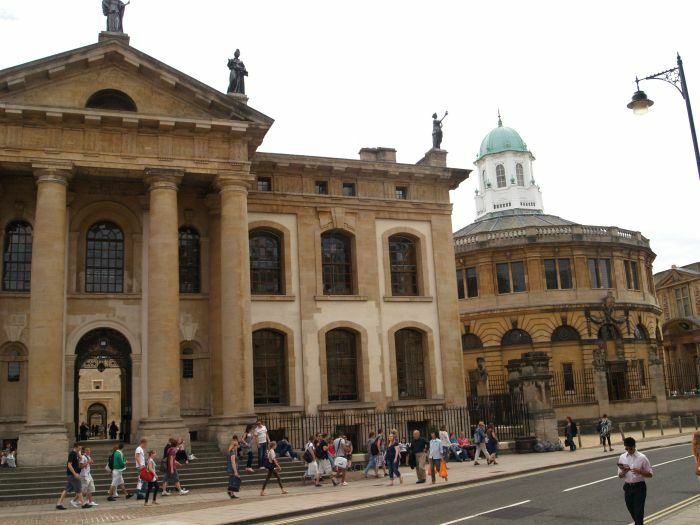 Oxford Town: On the left is the Clarendon building, on the right the Sheldonian Theatre, built by Sir Christopher Wren in the 1660s for degree ceremonies. The`Encaenia or Commemoration ceremony takes place here every July. This colourful and stately occasion dates from the Middle Ages, just one of many medieval 'survivals' into the 21st century! 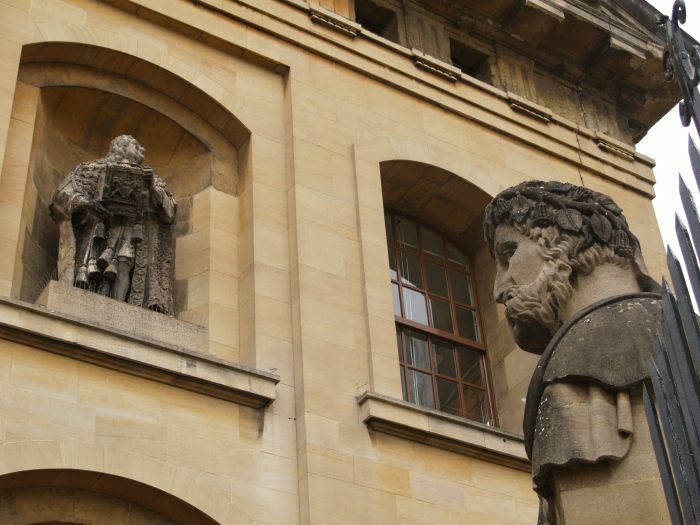 Oxford Town: Figure on the Clarendon and one of the Emperors' Heads outside the Sheldonian. 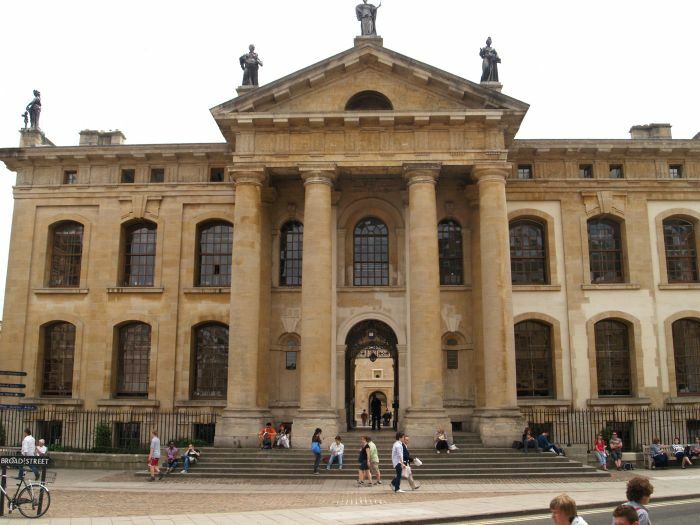 Oxford Town: The front entrance to the splendid Clarendon building. This fine solid building was built by Nicholas Hawksmoor in the early 18th century out of profits from Lord Clarendon's best selling work on the Civil War. 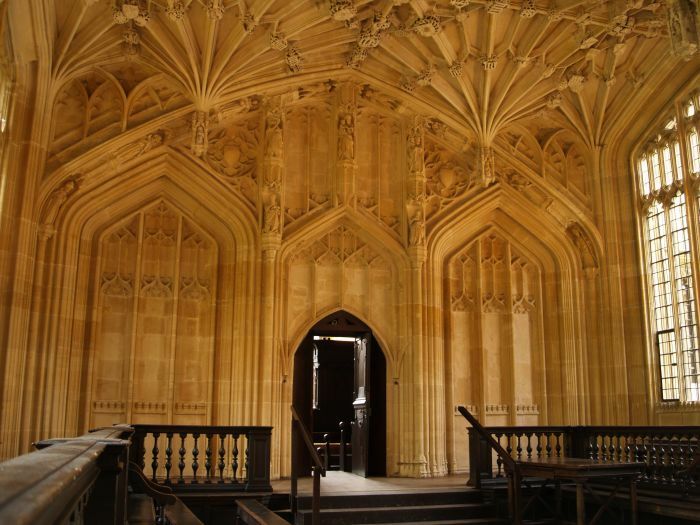 Once the offices of the university, its now part of the adjacent Bodleian Library complex. 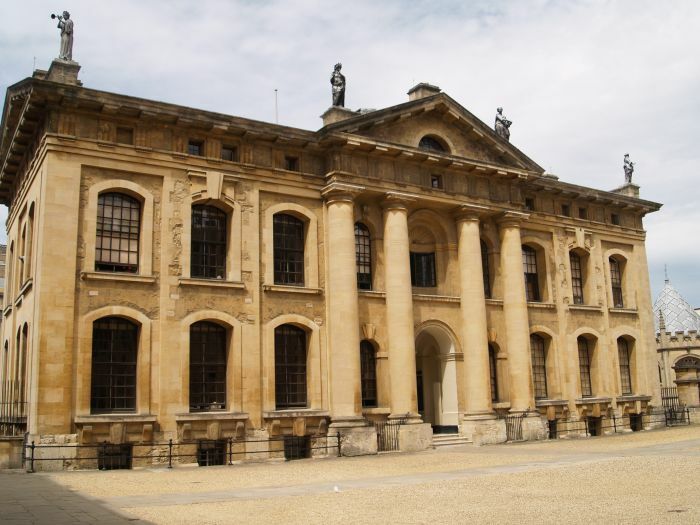 Oxford Town: The rear entrance of the Clarendon building. 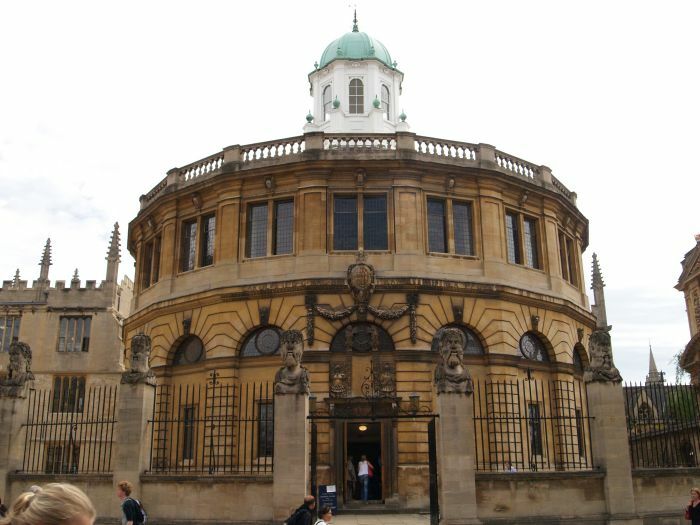 Oxford Town: The main entrance to the Sheldonian Theatre. 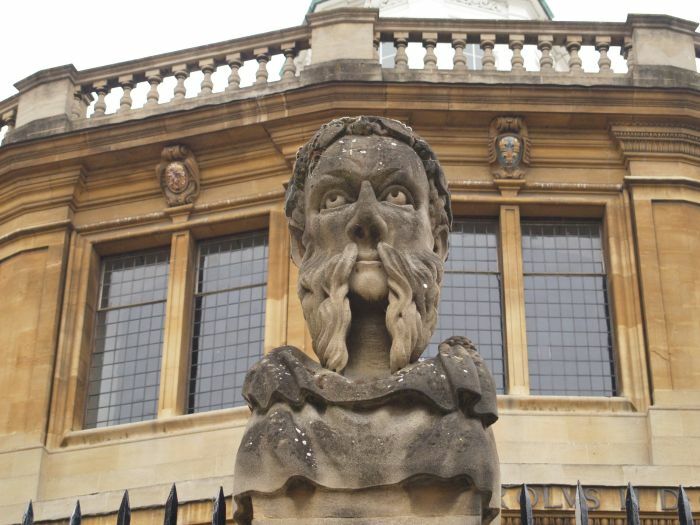 Oxford Town: The carved heads in front of the Sheldonian Theatre. 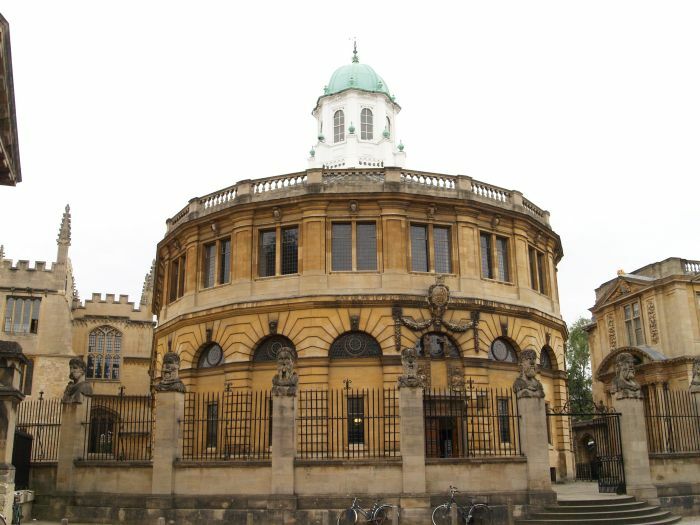 Oxford Town: Another of the Emperor's heads of the Sheldonian Theatre. 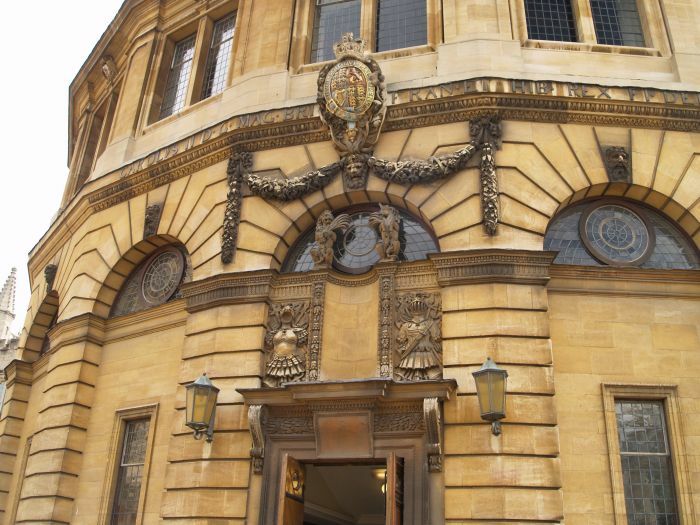 Oxford Town: The rich carvings above the entrance to the Sheldonian Theatre. 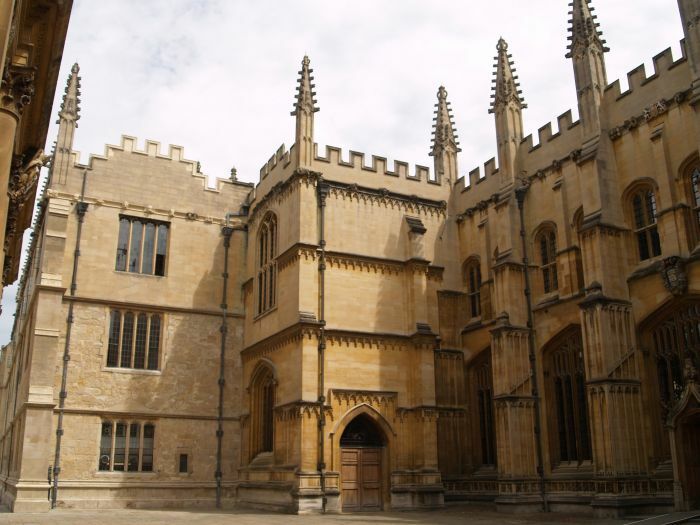 Oxford Town: Part of the Bodleian Library complex of Oxford University. 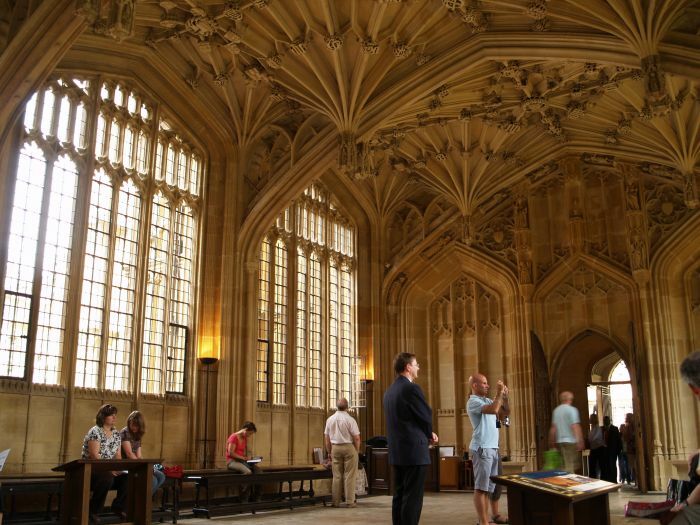 The Bodleian is one of the world's greatest libraries whose founder Sir Thomas Bodley, in the 17th century, had a arranged that the library should receive a free copy of every book published in England. 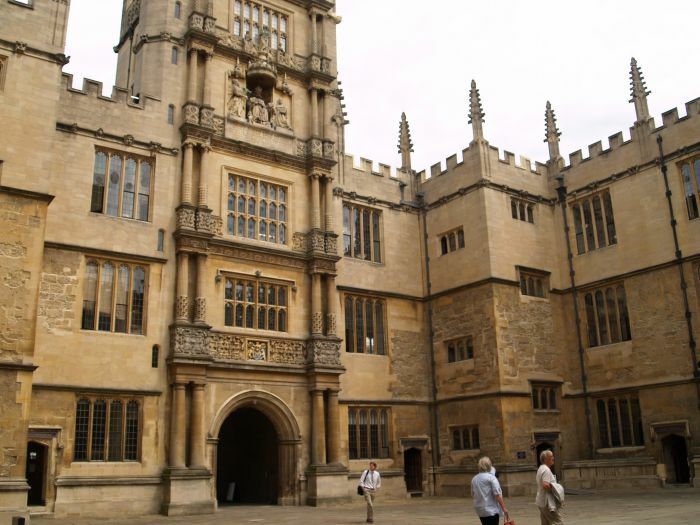 Oxford Town: The entrance to the Bodleian Library of Oxford University, view from the inner courtyard. 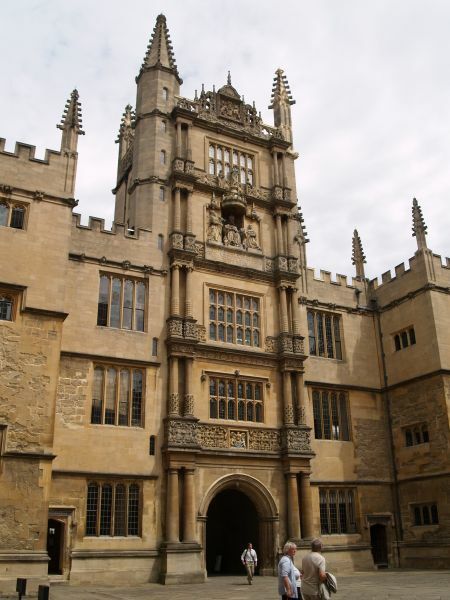 Oxford University: The entrance to the Bodleian Library, view from the inner courtyard. 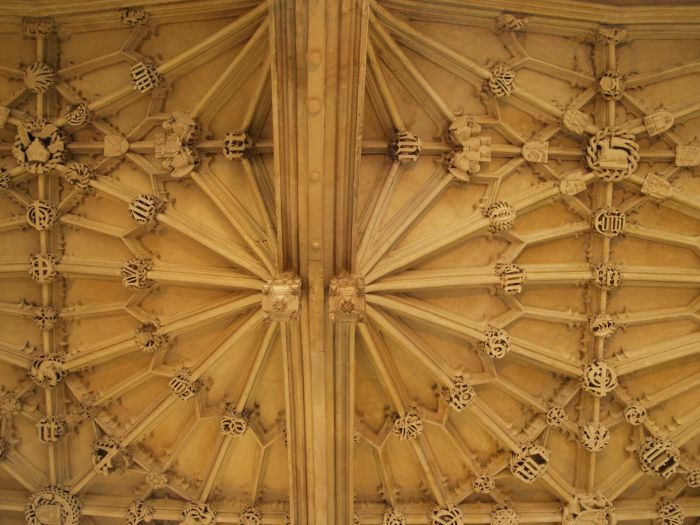 Oxford University: The amazing carvings of the vaulting of the ceiling of the Divinity School of the Bodleian Library. 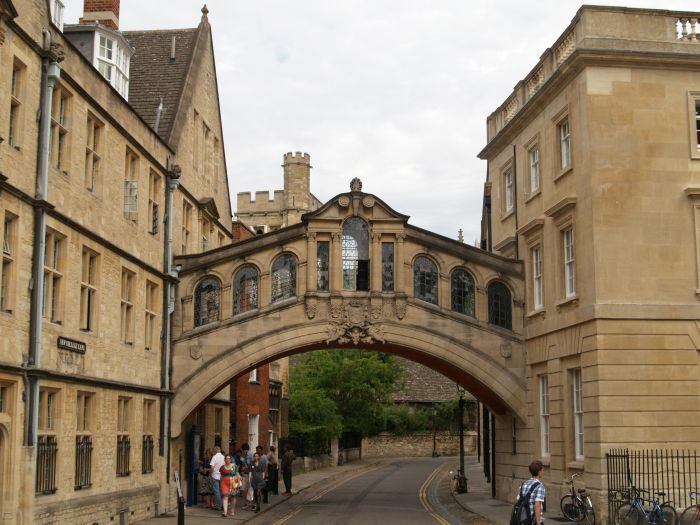 Oxford University: The Bridge of Sighs across New College Lane links the two parts of Hertford College.